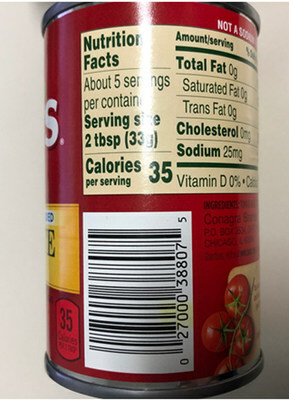 CHICAGO, April 3, 2019 /PRNewswire/ -- Conagra Brands, Inc. (NYSE: CAG) is voluntarily recalling a limited amount of Hunt's Tomato Paste No Salt Added six ounce cans. 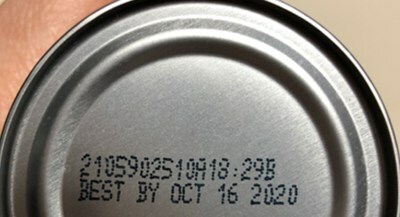 After the canning process, the final product could have been damaged, creating the potential for mold. Conagra Brands became aware of the issue after receiving calls from consumers. 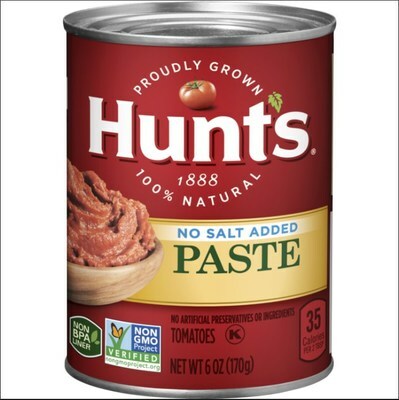 No other Hunt's products or Conagra Brands' products are impacted by this recall.